Ascending Butterfly: Not So Wordless Wednesday: My day with Vanessa Lachey in NYC! Not So Wordless Wednesday: My day with Vanessa Lachey in NYC! The butterfly was out and about today and got a chance to celebrate Earth Week in New York City learning about a super easy way to greatly impact the environment! The clever folks at Future Friendly from Procter & Gamble makers of household products that include Tide Coldwater, Duracell Rechargeable, Cascade Action Packs, Dawn Ultra, Prilosec OTC, PUR and Pampers Cruisers hosted a fun countdown to Earth Day event in New York City which featured Tide Coldwater Laundry Detergent, Maytag® Bravos XL® HE Top Load Washer and Dryer and their spokesperson and celebrity host, the very personable Mrs. Vanessa Lachey, host of the ABC television series Wipeout. "This is a realistic change that everyone can do." Arriving a bit early gave me the opportunity to re-connect with some of my favorite bloggers including: @dancinghotdogs, @jenwag57, @TinaSeitzinger, @MomMostTraveled (a fellow Duane Reade VIP Blogger! ), @SweetiesSweeps, @barrettboys and more! (Apologies, I normally provide blog links, but twitter links were just so much faster, you can link to all their blogs via their twitter pages!). Developed by P&G to work most effectively in cold water conditions, Tide Coldwater Laundry Detergent ranked among the top detergents by a leading consumer group. It is specially formulated with different enzymes and surfactant which allows for effective cleaning in cold water and also allows consumers to live more sustainably and save money without sacrificing the results they expect from a leading brand such as Tide. Switching to a cold water laundry detergent is such a win-win. You are cutting down on household energy use and saving money while doing something good for the environment. "The Dryer uses heat to kill germs, but most washers don't unless they are set to 140 degrees, for the most part the germs are really being killed in the heat of your dryer"
Utilizing 'Catalytic Chemistry', the enzymes are allowing Tide Coldwater to clean just as effectively as warm water washing cycles. So before I get to what makes Wordless Wednesday so great, the PICTURES, I know you must be thinking 'But Butterfly, what's in this for ME? ', and I'm so glad you asked! Take A Load Off Sweepstakes! 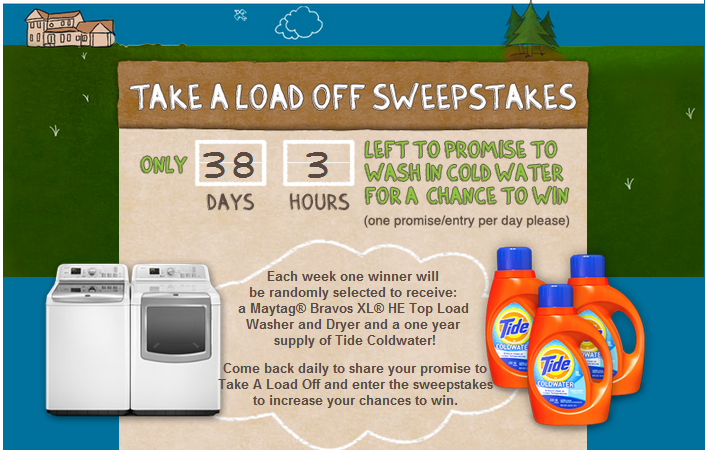 P&G is inviting consumers to pledge to wash in cold water for a chance to win some awesome prizes in their Take A Load Off Sweepstakes. Between now and May 13, 2012 enter daily for a shot at weekly prizes that include a Maytag® Bravos XL® HE Top Load Washer and Dryer and Tide Coldwater Detergent to help you keep up your pledge in high laundry style! My VIP Blogging experience continued with a special lunch, roundtable and Q&A with Vanessa Lachey! Vanessa is a mommy to be, and it was very clear that protecting our environment to ensure the safety of her coming little one is important to her, she was super down to earth, and spends time online herself seeking out tips to help set up a safe nursery. I am sharing some awesome photos from todays event, the photos without the Ascending Butterfly watermark are from PR firm Citizen Paine and are being used here WITH their permission, please check with them before borrowing any photos. 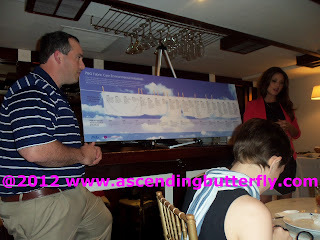 The watermarked photos were taken by Ascending Butterfly and the same applies, please contact us for use of any of our photos. You can press on each photo individually to make them open up bigger and then hit backspace to come back to the main article. Above: This was one of my favorite shots, and I'm pretty stoked it came out so clear because I had to use a bit of zoom to get in this close, and usually when I zoom the shots get grainy. Thankfully all that time in the hospital I didn't loose my photographic touch! Above: Vanessa's actually quite a ham, and there were a few times where she took quirky, fun shots and I was happy I was able to catch one of those moments from my awkward vantage point. Above: This picture was taken during the lunch roundtable Q&A session. On the left is P&G Senior Scientist, Jack W. English. On the Right, Celebrity Spokesperson, Vanessa Lachey. At the Sagaponack Bar & Grill in the Flatiron District in New York City. Above: Group Shot with She Speaks VIP Bloggers and Celebrity Host, Vanessa Lachey. For those playing 'Spot the Butterfly', I'm standing on the very right in a wine colored jacket! So now you have a full peak into my day with Vanessa Lachey! Hope you decide to take the Pledge too! FTC Disclosure: I am blogging on behalf of SheSpeaks/Tide and received VIP perks for attending this event. All opinions expressed are 100% my own. I LOVE P&G & what they are doing to be eco friendly!! I actually have a post that mentions them this Friday!! Looks like an amazing opportunity for you!! Great pics & love your input. @bloggingbabiesandthebayou - I will check out your P&G post on Friday. 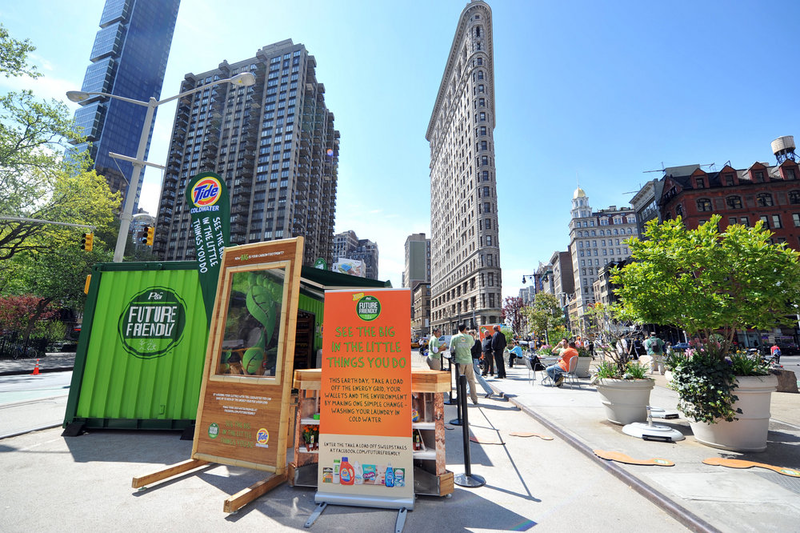 It's great when a brand find ways to give back to the community and environment at large!